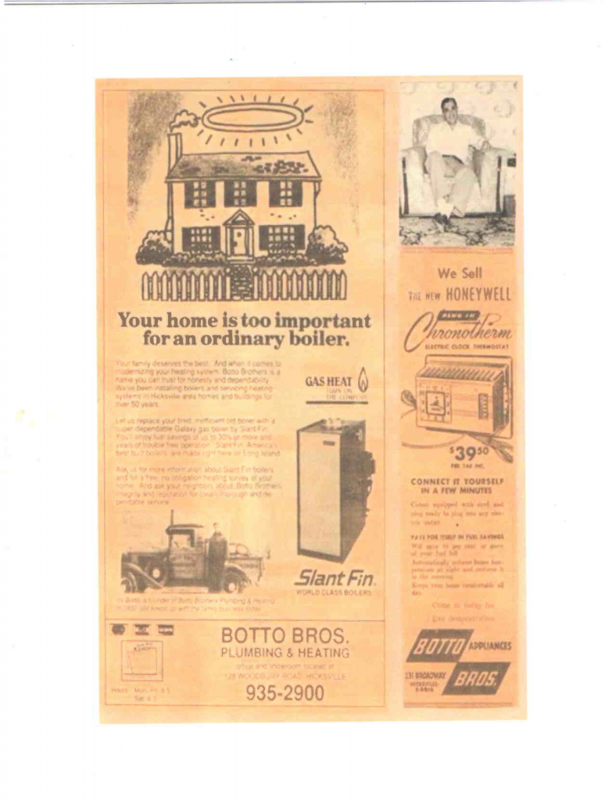 It was in 1937 that brothers Irwin and Robert Botto incorporated Botto Brothers Plumbing and Heating. Shortly afterwards, the business started in Hicksville NY and began servicing all of the needs of Nassau County residents. This continued on until the 1950’s when they sold the company to Irwin’s son, Richard, and cousin, Irve. The two successfully operated the business until the early 1960’s, when the two partners decided to split. 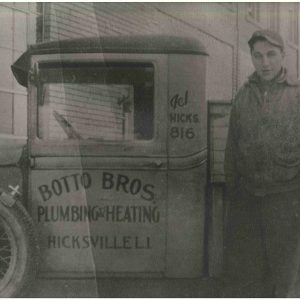 Richard continued the legacy of Botto’s Brother Plumbing while Irve formed Botto Mechanical. Irve formed a large union mechanical shop, which still remains in operation. In 1962 Richard relocated the company to where it still stands today at 128 Woodbury Road, Hicksville NY. Richard ran the business through the 1970’s until 1980. It was in 1980 that Richards oldest son, Hunter Botto, joined the ranks of Botto Brothers. Prior to joining, Hunter was a boiler technician in the United States Navy. Shortly after graduating from SUNY Delhi with a degree in plumbing and electrical, it was in 1982 that Richards youngest son, Roger Botto, joined alongside his father and brother. 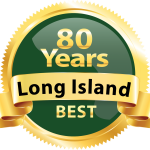 Richard and his sons ran Botto Brothers well into the 1990’s, servicing not only Nassau county, but Suffolk County as well. Brothers Hunter and Roger purchased the business together in 1993. The two brothers operated the business well into the 2000’s. While maintaining it’s family owned traditions, Botto Brothers grew with the evolving technologies. A few examples include high efficiency boilers, tankless water heaters, and touch less faucets. It was in 2015 that Roger Botto introduced his oldest son, Christopher Botto, into the business after he graduated from SUNY Oswego with a degree in technology. Today, Botto Brothers is owned and operated by Roger Botto with Christopher working alongside him in order to maintain the company’s prestigious reputation and family values.